Can't believe that just happened to me. Wanted to turn a unit (Hold right mouse button/turn) and instead of turning the guy left the BF, probably because me not holding long enough. Cost me my whole movement for the day. Edited by Stevie at 00:01, 28 Mar 2016. Other than that I can't complain either, though. Edited by Stevie at 19:22, 09 Apr 2016. Game's probably gonna go a bit smoother from now on, I took good care of it Dagoth surrendered after I captured his throne city, and it seems Joonas left for some reason, perhaps loosing interest. This means that as of turn 12 we're only 4 people left. "You are about to continue a PBEM session with a newer version of the game. By doing so you'll upgrade the version of this session, forcing all the session's participants to update. If you are participating in one of our Betas we advice you to not proceed and switch to the official version. If you have received or installed an update of the official version you can proceed as usual." Since I suspect the game update on its own to v1.704 - build 17205, I'll update the session. i may have to surrender out of this session too.. im just so friggin busy atm, and feel bad holding up the party. ive got a solid empire forming too, wish i could play more; i havent even been able to get to my game w/ JJ in like a week, sorry man, asap! Don't quit, play whenever you can. There's a reason for the timer. I don't know what exactly happens when a player skips his turn, but I think JJ said the AI plays automatically for you? Then there's no reason to fret you'll be left behind. Plus, you'll see better times, right? I think, the AI does 1 turn for you, but won't skip the next one; you must play at least every other turn - or be kicked. Edited by yogi at 13:47, 19 Apr 2016.
dont foresee werk letting up for another few weeks: im gonna fold this session so you guys can actually play. It couldn't be helped then So with you left we're 3 now. Well, it's gonna go a lot faster that's for sure. Might be for the best. Hope things work out for you. Edited by Raenus at 22:31, 01 May 2016. I want to apologize to everyone for holding things up, as I have been telling Stevie things are hectic right now (typing this on my phone). I don't plan on forfeiting (although this match has been a cavalcade of mistakes and poor decisions) though I may miss a turn or two. May the best player sup themselves on my delicate carcass. EDIT: In hindsight, I guess "everyone" is Jolly and Stevie at this point so...... yeah sorry guys. EDIT 2: Turns out that far more than I thought recently came on my plate. I am far busier than I expected to be, that combined with the fact that there is no way in hell I would make a large difference in the outcome (unless both of you are potatoes, which I don't think is the case) means that I have opted out so that I don't hold things up anymore. I would love to try another round when my life has calmed down, would also love to get back into duels. Until then, good luck, I look forward to reading the results. Edited by Stevie at 10:11, 03 May 2016. That's regretable, good luck with whatever came up in your life. Have no fear, I'm not underestimating anyone. 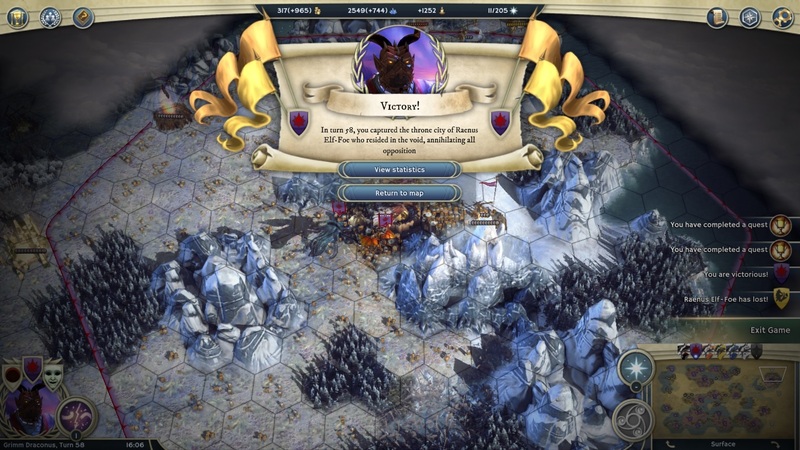 Bought the game this week, I think I got the hang of the basic gameplay, still need to suss out which are the powerful spells or the strong ones, as well as getting to terms with race traits and units. Edited by Stevie at 15:18, 18 May 2016. The 6 man game concluded and the winner is none other than yours truly. Kind of a stomp if I could say so myself. Not sure what you asked JJ, but if it was about the settings they were explained at the beginning of the session if I remember well. Granted somethings were kept a surprise. Game was a total dud for me. Would you like to try a mod I made with me? 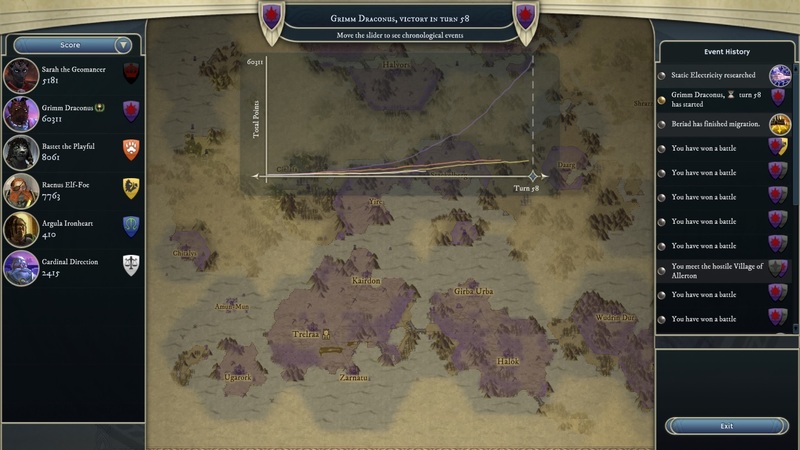 The only thing the mod changes is the way how fast Heroes gain XP (which is the problem with certain heroes and abilities), especially the hired ones (as opposed to your leader), with a couple of abilities moved up the scale, especially for Necromancer. I'm busily testing and it looks good so far. The advantage would be that everything is pickable. Considering recent developments I'm left with no choice but to decline, although I really wanted at some point to try the balances for necro. There's just to much on my plate at the moment, and while I could still pull through and play some more AoW3, I lack both the drive and the time which I'd better spend otherwise.